The Seattle City Council’s interest in imposing an unusual “head tax” on large employers based on their number of employees won international headlines this month after giant online retailer Amazon protested by freezing a plan to add 1 million square feet in office space in the city. After proponents associated with Seattle unions and progressive groups agreed to cut the levy from $500 per employee to $275, the measure won unanimous council approval, and Amazon – which has about 45,000 employees in the Seattle area – resumed planning for its expansion. But business groups remain upset about the levy, which may be the target of a signature-gathering campaign for a ballot measure rolling back the fee. While it hasn’t got nearly the attention, the same tensions between wealthy tech employers and local interest groups – which see the employers as hurting quality of life by increasing congestion and by making housing costlier – are playing out in the June 5 San Francisco mayor’s race. It’s being held to fill the vacancy created by Mayor Ed Lee’s death from a heart attack on Dec. 12. 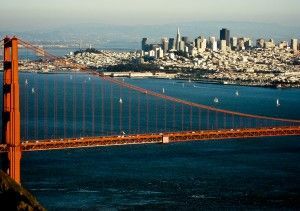 Lee’s death was lamented by tech executives who called him a key to San Francisco’s emergence as a world tech capital. It’s difficult to be confident who’s leading the mayor’s race since San Francisco is one of a handful of cities to use a top-three ranked voting system in which a candidate who doesn’t get a majority in the initial tally can still win based on her or his second- and third-place votes. But the consensus top three are all liberal to very liberal Democrats by national, if not San Francisco, standards. They are Board of Supervisors Chairwoman London Breed, who would be the city’s first African-American woman mayor and has the support of former Mayor Willie Brown’s business-friendly coalition; Supervisor Jane Kim, who would be the city’s first Korean-American mayor and is a mostly beloved figure among local progressives; and former state Sen. Mark Leno, who would be the city’s first openly gay mayor and who also runs well to Breed’s left. Breed, who was deposed as acting mayor by progressive supervisors earlier this year, seems to want the most limited policy changes aimed at tech workers. She has backed limits on short-term rentals by companies like Airbnb and wants to cap the number of ride-hailing vehicles at any given time, and perhaps put restrictions on food deliveries as well. Kim wants tech companies to improve pay and benefits for lower-rung workers so they can live in the city. She says companies subcontract services for janitorial and cafeteria work so they can avoid responsibility for the poor quality of life for those hired. She has expressed interest in requiring Uber and Lyft to pay a per-rider fee. Leno wants to impose hiring rules on city tech companies to force them to hire city residents. He says this hiring shouldn’t just be for blue-collar positions but for administrative and sales jobs. He has also called for tech firms and their employers to “invest” in the city by committing to improving its lifestyle for those beyond the wealthy. The only Republican in the race – business consultant Richie Greenberg – and business groups say that mayoral candidates shouldn’t take tech companies for granted. They note that the city’s tech boom may have peaked in 2016, with exploding housing costs hurting San Francisco more than the broader Bay Area-Silicon Valley tech region in general. But this point of view is a tough sell going into June 5’s voting. Perhaps the best example of this is a deal orchestrated in 2011 by then-Mayor Lee with the support of Supervisor Kim to revitalize the rough Tenderloin and Mid-Market districts west of downtown by giving a six-year break on city payroll taxes to companies located there. This was meant to keep Twitter’s headquarters from moving out of the city and to attract new tech firms to the area. The proposal was widely seen as a smart way to maintain San Francisco’s tech momentum in 2011. In 2014, business groups hailed the agreement for keeping Twitter and for creating 13,000 jobs and generating much more revenue for the city than the sums lost because of the tax break. But that same year, a San Francisco Chronicle analysis noted that the deal was seen by many residents as a sign of the city caving to business pressure – and it has emerged as a reason for progressives to question Kim’s bona fides.